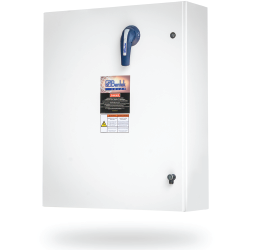 With over 30 years of design and manufacturing experience in a broad range of both AC and DC OEM power distribution products for the residential, commercial, and utility-scale solar PV marketplaces, Bentek is introducing several Utility-Scale products optimized for projects using First Solar Series 4 and Series 6 PV panels. Bentek products include Utility-Scale FastLink cable harness assemblies, integrated disconnect string combiners (UTS) and inverter recombiners that are optimized for use with First Solar’s Series 4 and Series 6 thin-film module technology. “Bentek is proud to team up with First Solar as part of their Ecosystem initiative in order to provide best-in-class Balance Of System (BOS) solutions for both Series 4 and Series 6 First Solar projects. Bentek’s Utility-Scale (UTS) integrated disconnect string combiners provide the largest selection of disconnect ampacities in the PV industry. These ampacities include: 200A, 225A, 250A, 275A, 300A, 325A, 350A, 375A and 400A and allow our customers using First Solar Series 4 and 6 PV panels to optimize their project designs while reducing costs up to 20%. Bentek’s FastLink overmolded positive and negative cable harness assemblies link First Solar Series 4 and 6 PV panels together allowing project designers to optimize their designs while minimizing costs,” said John H. Buckley, Bentek Executive Sales and VP of Marketing. Bentek Utility-Scale (UTS) Integrated String Combiner for First Solar Series 4 and Series 6 PV panels. For more information about the capabilities of the Bentek/First Solar Series 4 and Series 6 products, please contact Bentek at 1-866-505-0303 or visit www.bentek.com/first-solar-ecosystem. In 2009, Bentek expanded its offerings with the creation of the Solar Products division. Bentek Solar provides Balance of System (BOS) equipment – combiners, recombiners, safety systems, cables, harnesses, mounting racks and accessories – for a wide range of photovoltaic projects. Bentek branded solar products simplify and speed the installation and wiring process. For more information, contact Bentek Solar at 866-505-0303, e-mail SolarSales@bentek.com, or visit www.Bentek.com.